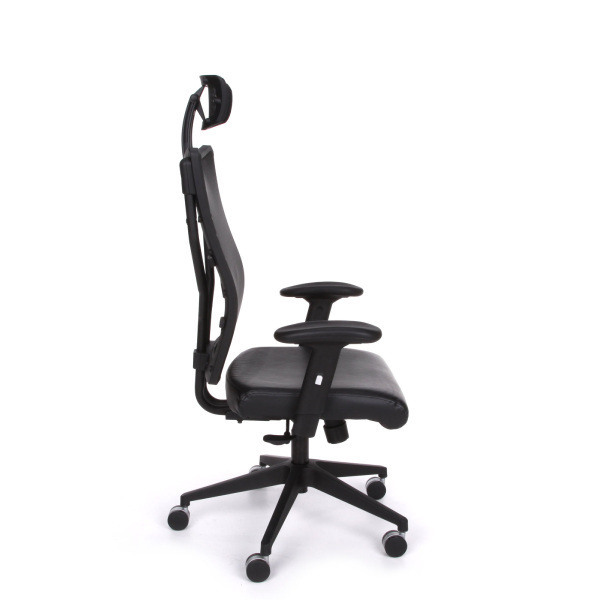 When it comes to professional ergonomic seating solutions, OFM knows their stuff! This respected manufacturer takes pride in crafting some of the most comfortable chairs on the market. Today on the blog, we'll be taking an in-depth look at the Talisto 590-L from OFM and the features that've made it one of the most popular chairs of 2016. The 590-L Talisto office chair from OFM offers a distinctively modern vibe. The high back and headrest combine with a wide 5 star base and leather seat to form a luxurious chair that's perfect for upscale interiors. If you're looking to make a statement in the workplace without being too over the top, the Talisto is a perfect option. It's black on black color combination is incredibly versatile. You can effectively pair this popular office chair with just about any furniture finish imaginable. 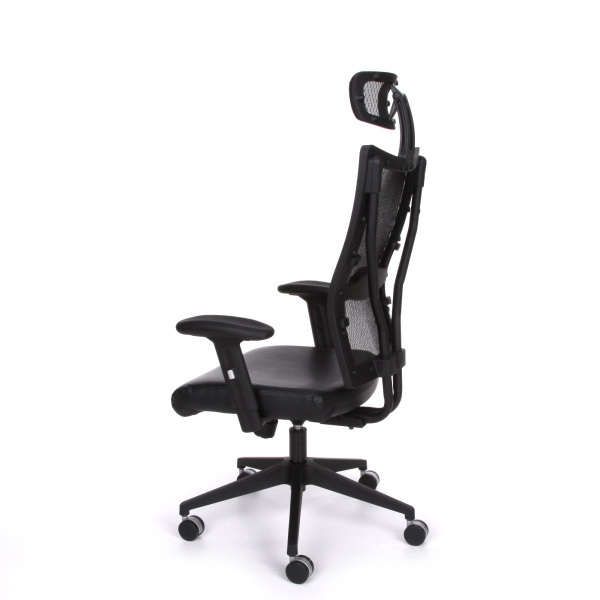 Known for their commitment to quality and comfort, OFM never fails to impress when it comes to ergonomic seating. 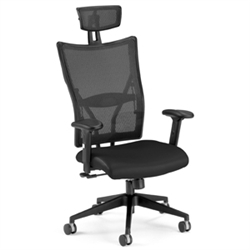 The 590-L model Talisto mesh back executive chair keeps the user feeling light and airy while computing. The adjustable T shaped arms come in handing when searching for healthy typing positions. 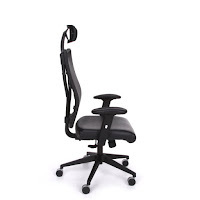 The waterfall seat edge helps take pressure off the user's knees while working to improve blood flow while making extended sitting sessions more bearable In addition, the 590-L comes standard with a naturally contoured back that provides excellent lumbar support. The multi functional operating mechanism is also of note as it can be mastered to achieve perfect posture in just a few minutes. While most of today's high end chairs are a bit confusing, the 590-L minimizes the ergonomic learning curve to help operator's get comfortable instead of a headache. You can really do a lot with this versatile office chair from OFM! 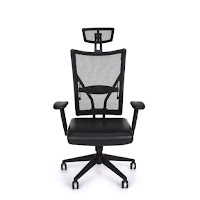 The Talisto is the premier mesh chair for executive office applications. With it's supportive headrest and wide seating surfaces, it really makes an impression on valued visitors. The ergonomic attributes also make this best selling swivel chair an excellent choice for intensive tasking and computing applications. All things considered, the 590-L can't be relied upon for big and tall applications as it's only ready to support users up to 250 pounds. The OFM Talisto office chair is currently available for $402.99. When compared to other popular chairs from brands like Hon, Herman Miller, and Global Total Office, we feel the Talisto more than holds it's own. The mesh back is durable, springy, and airy. The easy to clean black leather seat provides supple support while the standard ergonomic features integrated into the 590-L are seldom found on chairs twice the price. This simple to use office chair is perfect for picky shoppers looking to maximize their chair shopping budget. After a thorough review, we feel confident giving the Talisto a 4 out of 5 star rating. We gave our main deduction based on a lack of color options. When that's your main critique, you know you're dealing with an awesome chair. The 590-L is reliable, comfortable, and priced just right. 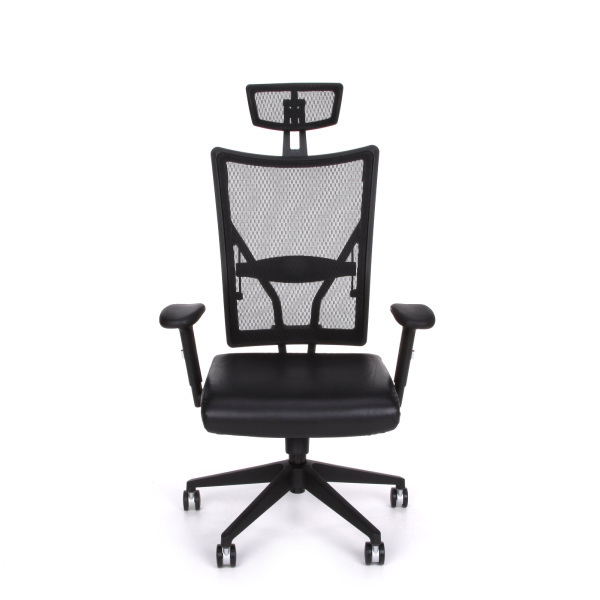 If you're looking for a cool mesh back chair for your executive office that won't take a lifetime to master, the Talisto is a must consider.